If a hunter is considering leasing a particular piece of property and wants to know the condition of the deer on the land, he should be able to walk over the lease and find sheds. If he doesn't discover any sheds, then he must question how-many deer are on the lease. The same is true of public lands. If public lands are available where you plan to hunt during the upcoming deer season this fall, but you aren't sure what the condition of the deer herd is on those lands, then walk the land after the season, and search for sheds. 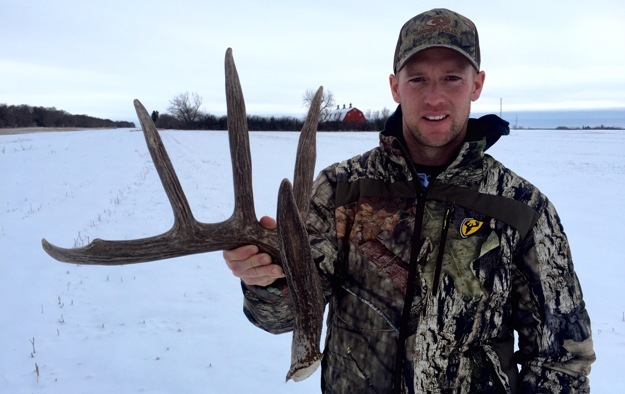 Too, sheds will tell sportsmen how well they're doing with their deer-management programs. For instance, if your hunting club is attempting to produce numbers of bucks, and your members don't find very-many sheds, then realize something is wrong in your deer-management program. 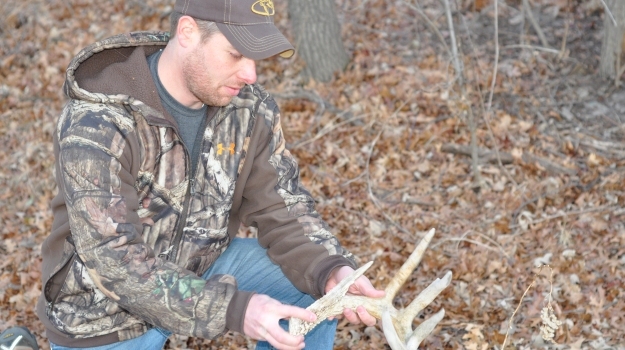 Also sheds will tell you the size of bucks you have on the property and the general condition of those bucks. On some of the ranches I’ve managed, we collect all the sheds we can discover every year. Then we measure every shed. 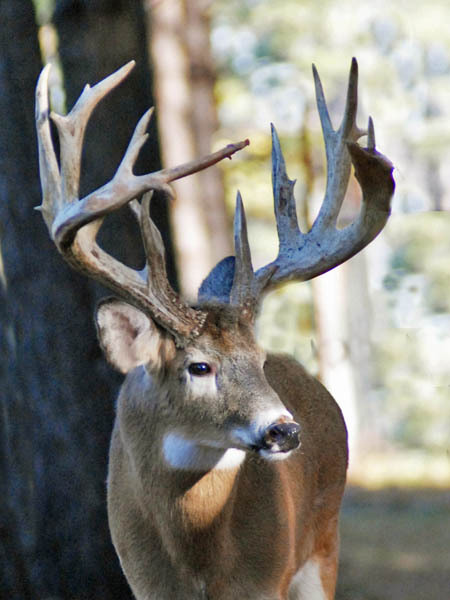 Although the data doesn't give us any age criteria, it does give us a bio mass of antlers. We can tell by the sheer volume of antlers we’ve picked-up whether we have a number of bucks or a few bucks, and whether we have little or big bucks. I've personally been collecting and weighing sheds for years. I'm attempting to evaluate from the sheds whether we've had a good year, a great year or an average year for antler development on the properties we manage. Something else we're able to determine from sheds is that we can better predict for the hunter what size bucks he'll have to hunt the upcoming year. If we find numbers of small, scrappy antlers, then we can project that hunters may not bag very-many large trophies in the upcoming year. But if we locate some quality racks, we'll know our hunters the following year can expect to harvest some trophy bucks. Late last spring I cut through a frozen swamp with my golden retriever, Lux, leading the way. As we tromped through frozen cattails, I noticed that Lux had stopped with her nose to the ground. I knew her excited tail wagging meant she had either stumbled across a fresh set of pheasant tracks or she was on an antler. Hunting Season Ends but the New Sport of Shedding Begins! More and more, hunters, landowners and property managers are taking an in-depth interest in being able to attract more deer to their landscape, which means finding ways to actively manage their deer populations. 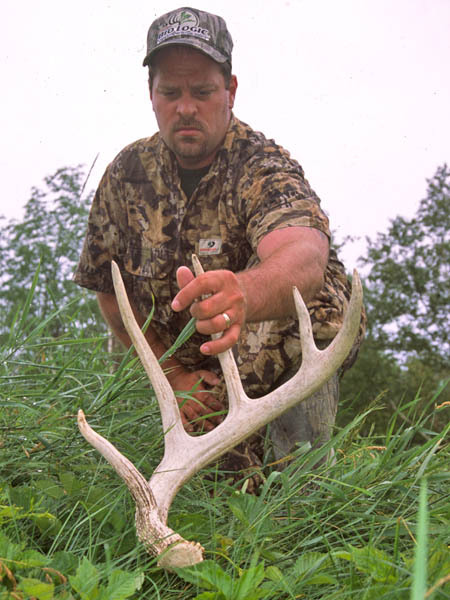 One of the easiest ways to do this, to understand the count of the herd and whether or not that count is falling or on the rise, is to search for shed antlers.